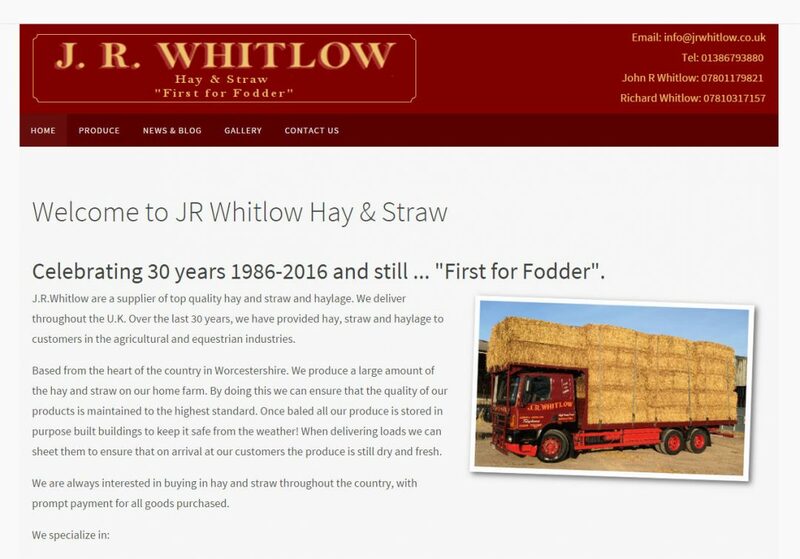 With over thirty years experience, J.R.Whitlow are a supplier of top quality hay, straw and haylage. We deliver throughout the U.K. to customers in the agricultural and equestrian industries. This was a simple and inexpensive website designed to explain the business and what they offer.